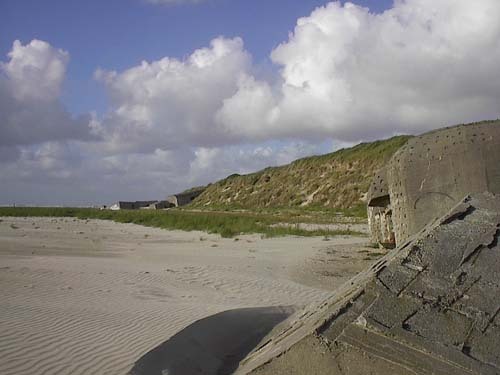 Stütpunkt HKB consisted of the battery at the coastline and a large amount of supporting bunkers. As in other locations in Denmark all sorts of types were present. They are built closely to each other in the dunes behind the coastline. Highlights in this Stützpunkt are the V 174 with tower, two 633s, a very nice 120 and some greatly preserved bunkers like 645.